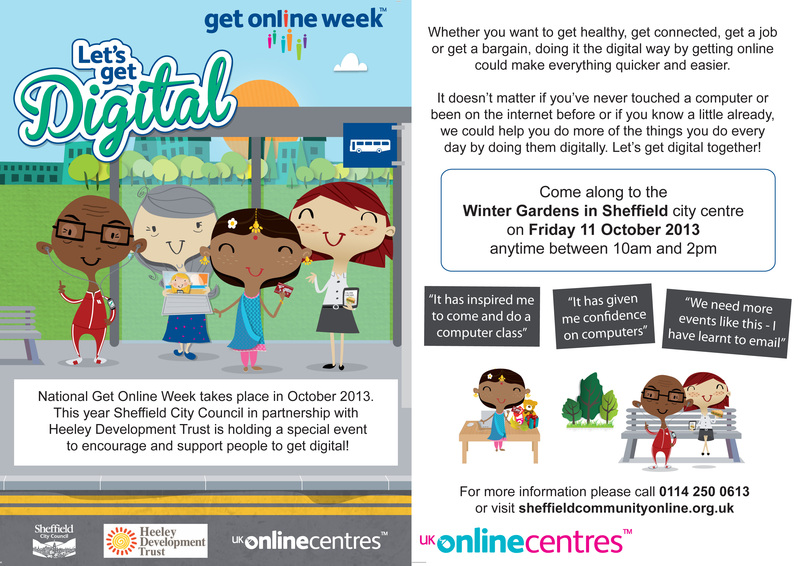 ‘Let’s Get Digital’ @ the Winter Gardens – 11th Oct – 10-2pm | IT'S HAPPENING IN HEELEY! Do computers and the internet frustrate you? Has the online revolution passed you by? Then why not come along to the ‘Let’s get digital’ event and join special guest, Sheffield City Council’s very own Howard Middleton. Fresh from his TV appearances, Howard, TV Baker, will be attending to show how online recipes can help you improve your baking skills and keep you up to speed with the latest recipes. The event is being organised by Sheffield City Council and Heeley Development Trust, in partnership with a number of other organisations throughout the city. Members of the public to use the latest iPads, tablets and lap-tops to make a little music, research family history and experiment with digital photography. “The concept behind ‘Let’s Get Digital’ is to be informative and educational while having fun” explained Heeley Online Centre Manager Maxine Bowler. “Banking, shopping and communication are increasingly taking place online, and with welfare, advice services and job searching all going digital there’s a real threat of exclusion for the more vulnerable members of the community”. Councillor Mazher Iqbal, who will be attending the event, said: “We received really positive feedback from our online event earlier this year. We were told these events are a great way to help people take the first steps to getting the confidence to go online. There will be stalls at the event showcasing various online services and online experts will be on hand to provide individual support. There will also be information about welfare benefits, money advice, getting a job and a competition where a tablet (donated by Currys) will be up for grabs. To enter simply come down and visit our event. 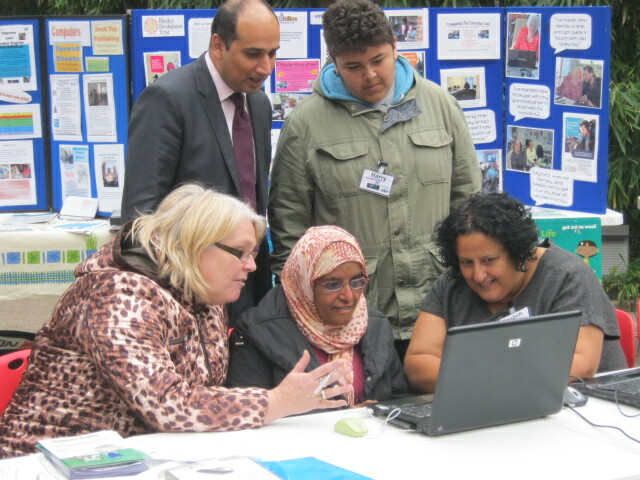 You can search www.ukonlinecentres.com/centresearch for more information about getting online or call Heeley Dev Trust on 0114 250 0613.